Welcome to Cooking With Cricut's one year anniversary party! In honor of our blog turning one, we will be showcasing a new project and post EVERY DAY in MAY! Each day various Design Team members will bring you special projects and the theme will be Celebrations! Anything in our lives we celebrate! So look for a WIDE range of super fun projects coming your way. We will also be having DAILY freebies compliments of PaperCraftingWorld.com! Each day there will be either a cutting file or digital stamp up for grabs. But you will have to come back each day as the files will only be available for 24 hours! That’s it..only 24 hours! So get ready to make us a daily part of your life in May as you don’t want to miss out on our freebies. We will also have weekly give-a-ways from other wonderful sponsors too! So keep your eyes peeled! So here we go . . . I'm Jen from Musings of A Crafty Mom. I am honored to have been chosen for Melin's very first CWC Design Team. It has been tons of fun, challenging and enabled me to meet and become friends with so many incredibly crafty women -- in fact, I've had so much fun that I'm starting my third term! The celebration I'm featuring today is a Mickey Mouse 1st Birthday Party. My grandson, Dylan, turned one yesterday and we partied with Mickey and all his friends! My projects include: A birthday banner, a freezer paper t-shirt, four framed pieces, and a card. 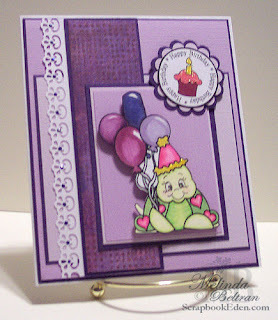 Please pop over to my blog for all of the details -- sizes and papers used. 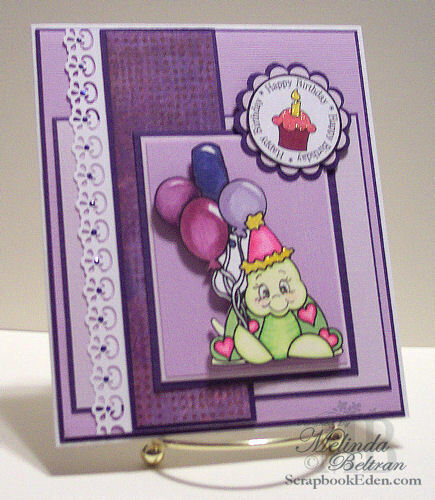 This super adorable Birthday Turtle Digi Stamp AND cupcake with birthday sentiment. Just head over to our PCW Blog and snag it while you can. Remember it will only be available until midnight tonight! Then we will make room for a new "Freebie"! Thank you again for coming by and for taking part in our celebration. Be sure to come back tomorrow when Chef Gaby will be stirring up another “Cricutlicious Creation” just for you! Loving all the projects here! Way to go! I love all the projects. 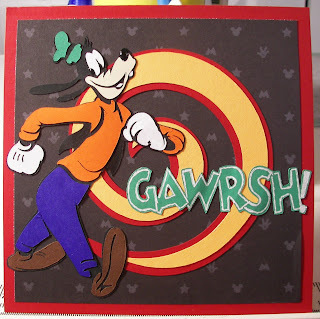 I'm a huge Disney fan! TFS. I love your projects. I thank you so much for the turtle digi. I am sorry if I missed this but I still have your candy badge on my blog because I dont know if you have announced a winner. What fun projects! The little turtle digi is adorable. thanks you so much for today's and (all) the freebies. I actually made up a little card today but wasn't sure where to show you so, this is my link if you'd like to look. Thanks so much for the freebies. I love the turtle digi. The birthday turtle is the cutest! I love your blog and I am featuring in on my blog tomorrow! Thanks for sharing and congrats on your anniversary!